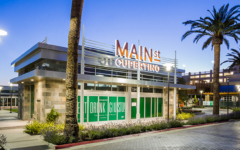 The Main Street Cupertino Parking Garage is part of a mixed-use development located less than two miles from the new Apple Corporate Campus in Cupertino, CA. 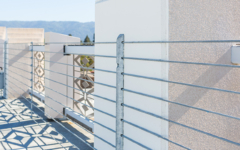 The exterior of the 459,000 SF structure is an art deco style and includes 50 bicycle parking stalls, GFRC panels, EIFS finishes, and at the roof level, a decorative, open railing fabricated with laser-cut aluminum panels. 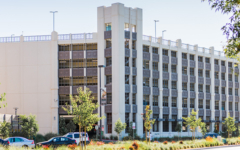 The garage features a complete parking guidance system that includes stall occupancy sensors which allow patrons to find available parking spots visually and efficiently with red and green light indicators. 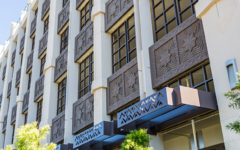 The Main Street mixed-use development also includes two office buildings, a 180-room hotel, a 120-unit residential apartment building and 130,000 SF of retail space.